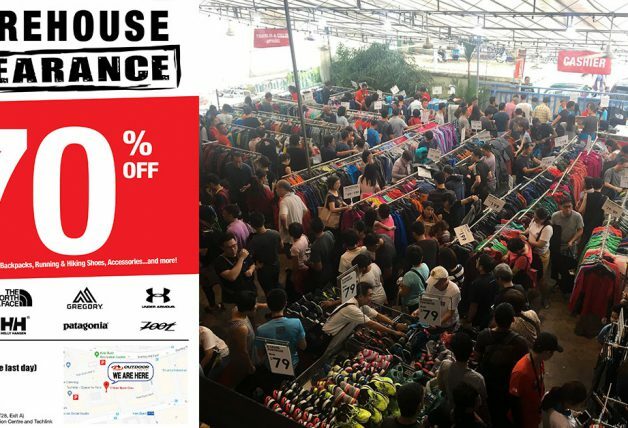 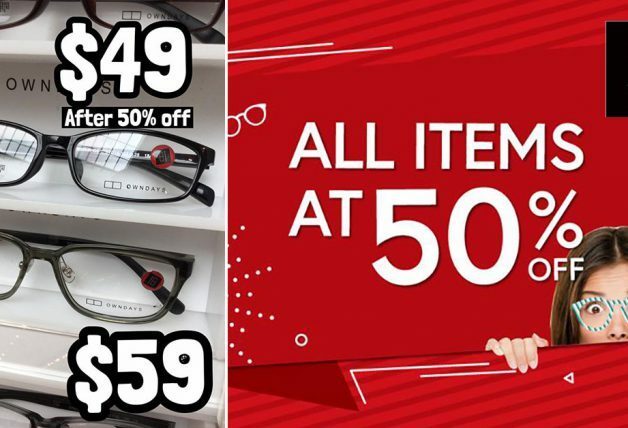 Bata will holding a big warehouse sale @ Toa Payoh SAFRA this Easter weekend and expect lots of bargains up to 70% discounts on brands including Weinbrenner, New Balance, Northstar, Marie Claire, Bubblegummers and many more! 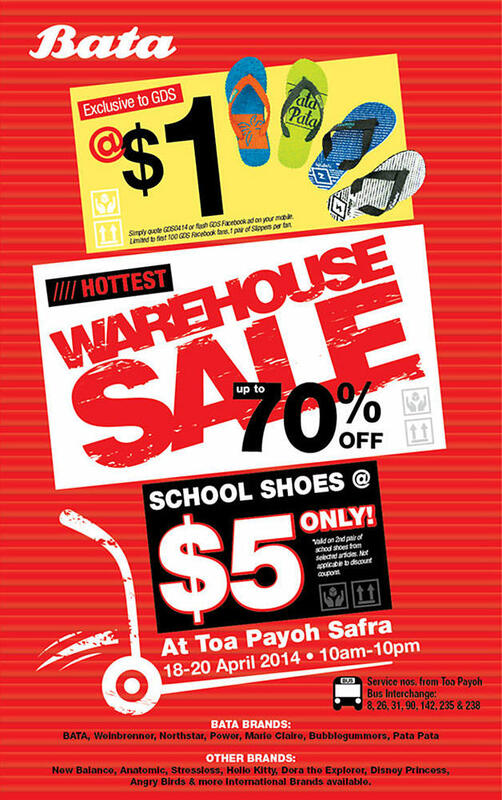 School shoes will be available on sale as well starting from just $5 when you purchase a second pair on selected styles so parents you might be interested to check this one out. 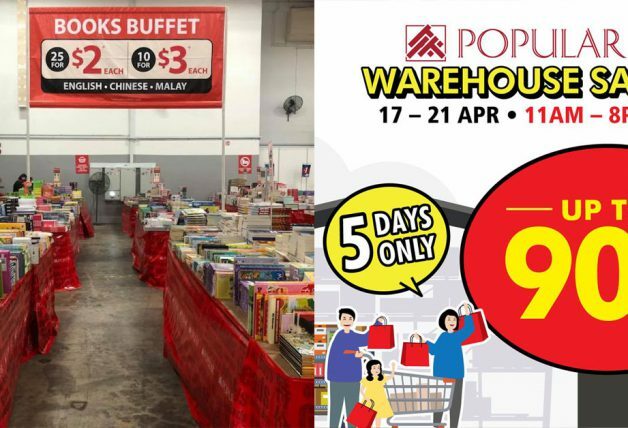 Bata Warehouse Sale will start tomorrow Friday till Sunday 20th April 2014. 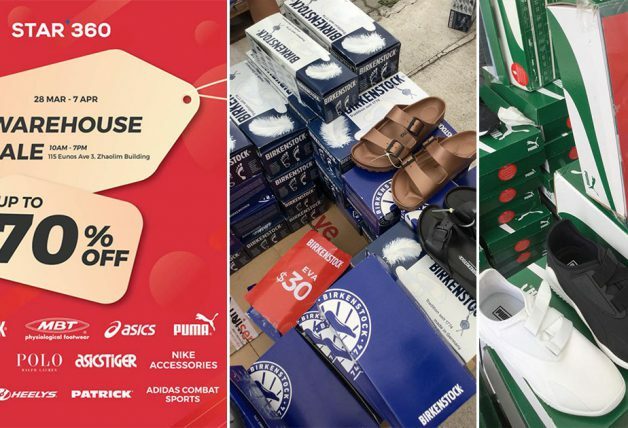 GDS Exclusive Deal: First 100 readers to flash this ad on their mobile smartphone or quote GDS0414 at the event will be entitled to purchase a pair of slippers for just $1! 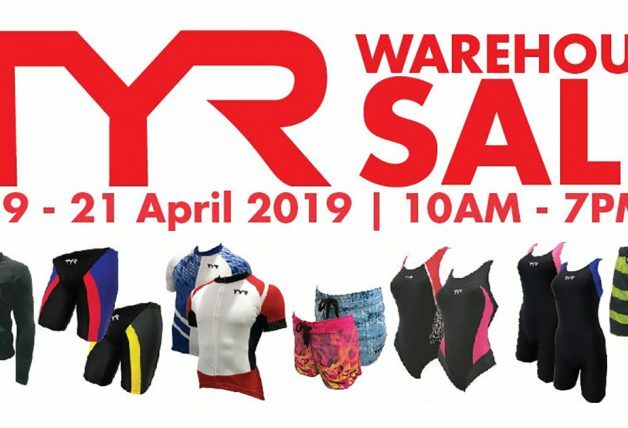 Be sure to be there early to avoid disappointment.